I borrowed a book from the library a couple of weeks ago. 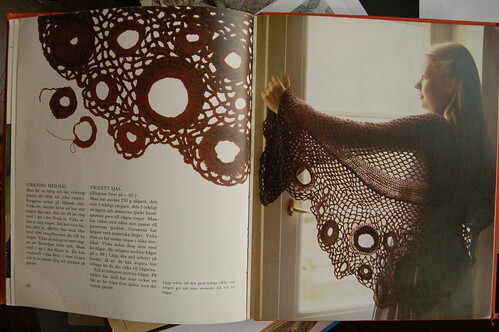 It is called Fri virkning (Fri haekling) and it’s about free-form crochet. I guess I have to return it to the library soon, but it feels stupid sometimes to return books that you want to keep. I read it from first page to last today and got lots of ideas. There are no amigurumi softies in it, but lots of other crochet ideas that is, yes very 1970-stylish, but also very very colorful and fun! 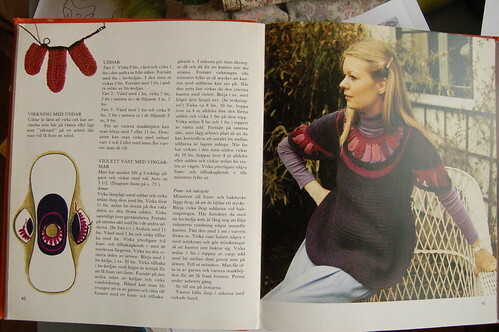 I want to crochet bags and hats, free-form scarfs and other crocheted stuff from this book. They’ve even made some sweaters! And the mittens, awww so cool! In all it’s a very inspiring book by a danish author called Lis Paludan. I will have to buy it if I find it in a flea market some day. In the meantime (not owning a copy of this one) I’m freeforming small amigurumi softies right now, and also bought Roligt att virka by danish author Vibeke Lind. 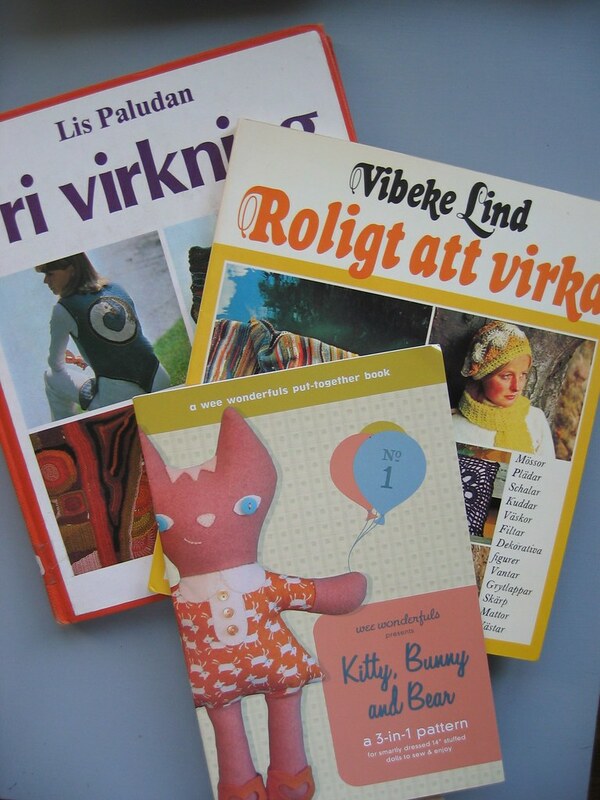 The other Nordic countries are much better than Sweden to publish great craft books. This one is not as colorful, but has great tutorials on different crochet techniques and a couple of pages with colours (the other pic’s are b/w). That’s all for today f-f-f-folks! Have a great day! 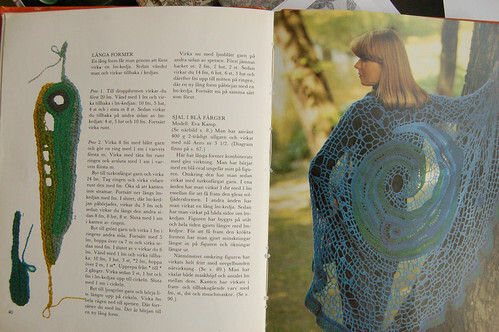 This entry was posted in Crafts, Thoughts on Creativity and tagged crochet, swedish book. Bookmark the permalink. I thrifted the “Fri hekling” book earlier this summer and I love it. 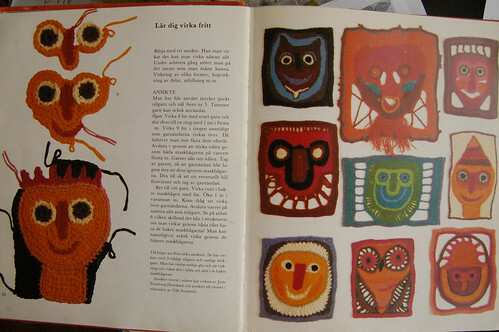 Lis Paludan has made a lot of cool crafting books, you should look for one of her Christmas books (Julebog), they are great for inspiration, not only for Christmas! Jag fick fri virkning av min mamma f?r ett par ?r sedan n?r jag ?nskade mig en basic virkbok. Inte riktigt vad jag hade t?nkt mig, men nu ?r jag ganska f?rtjust i den. Den ?r verkligen bra f?r inspirationen. Borde inte vara alltf?r sv?rt att hitta den p? antikvariat. Those shawls are AMAZING!!! Wow! Vilken h?rlig bok! Underbar inspiration, m?ste f?rs?ka hitta den sj?lv! Den bruna sjalen ?r s? himla vacker. This is amazing crochet! 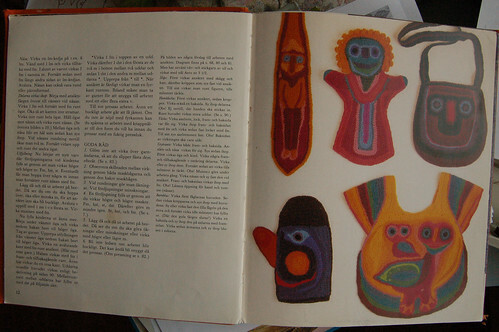 I am looking for a book called Ava’s Dolls and Puppets. It is mostly knitting. I am interested in seeing what people are doing with crochet too. 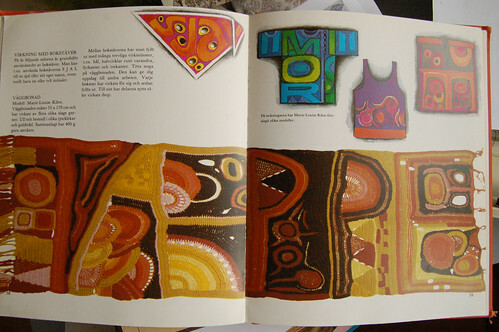 I saw this book from Lis Paludan on a blog (I think it was another one ;-) ) and then HAD to buy it. It’s so cool, even though I can’t read the language it’s inspiring me every time I look at it !! Sylvie, I’m glad you could find a copy of this great book, just looking at this post again and those images (just look at that bird!) inspires me all over again, so glad you came by to comment on it almost three years after I wrote the post about it! Yay!